Are you recommending a brand of food to your puppy buyers and getting paid for recommending their food? If not, you're missing out on a huge opportunity! With Life's Abundance, you can earn a monthly check by doing exactly what you're doing and recommend our high quality food instead and actually get paid. New puppy owners purchase their premium health food products through your site. You earn not just on the first order, but every time they repurchase too. 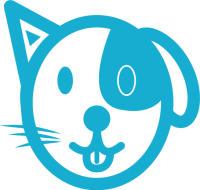 75% to 80% of new puppy and kitten owners continue to feed what their breeder recommends. This creates ongoing income for the life of every puppy. The average pet food autoship lasts for years which creates a strong ongoing income for you. Tell your friends - earn more! By helping others get started with sharing Life's Abundance premium health products, you can earn even more. Our simple program gives you a fully functional ecommerce website ($10.95 per month - that's 37¢ a day) that is your own professional website and shopping cart, managed by the company. You can put a link on your current breeder website and earn commissions and bonuses from every sale of Life's Abundance products. Your customers purchase direct from your site and Life's Abundance handles the shipping and billing. It's that easy - no Inventory, no Paperwork, no Worries. Just continue what you're already doing by recommending the best quality food for your puppies. Breeders also receive discounted pricing on dry food. The breeder dog food bags are 10% larger and cost the same as the retail bags. That means you can purchase 44lb bags of Life's Abundance Dog Food for the price of a 40lb bag. Please note these bags are only for feeding your personal dogs. Your clients ALREADY entrust their beloved pets to you for being properly raised and nurtured. So they trust you with their pet's nutritional needs. Life's Abundance is a natural extension of your hobby or business. 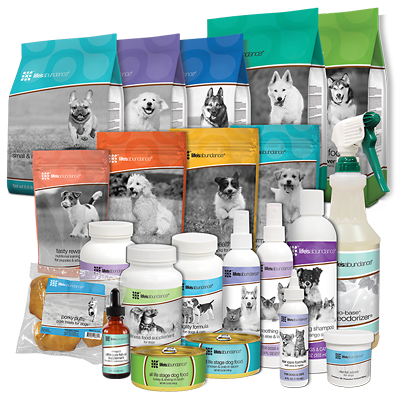 As a representative, you can earn an ongoing income for the life of the pup by offering holistically formulated, never-recalled pet products to your puppy buyers on an automatic shipment program that ship direct to their door. The cost to feed Life's Abundance is the same or less than other premium pet foods on the market. Plus Life's Abundance gives you a check back for every purchase from referrals. Month after month, year after year. What interests you the most about our program? Life's Abundance premium dog and cat food are veterinarian-formulated with select ingredients to help your dog or cat achieve optimum health. We use a “fast-cook” process at low temperatures to help preserve the nutritional value of each and every wholesome ingredient. And we maintain strict inventory controls to ensure the quality and safety of our foods. Fresher food is more nutrient-rich. While leading brands stockpile tons of food for months in warehouses and then on store shelves, our healthy dog food is made weekly in small batches and ships directly to your door usually within 6-8 weeks of being made. We believe dog foods should not contain grains like corn, wheat or corn or wheat gluten, which are generally used as inexpensive and inferior sources of protein. Additionally, these grain-based ingredients are highly susceptible to toxic mold contamination. We refuse to use these ingredients because there’s no excuse to risk the health of your pet. Protein is the cornerstone of any diet, but all proteins are not created equal. In fact, every protein source contains a unique complement of amino acids, which are “building blocks” of the body. Ideally, a dog food should contain at least three different protein sources to provide a wide array of amino acids. Dogs derive significant nutrition from animal fats. While vegetable oil may sound healthier to consumers, canines actually need the nutrients found in fats from animal sources. These specific nutritional components are not found in vegetable fats. Additionally, there’s great variation in the quality of animal fats, so be sure to verify that the source is species-specific (like “chicken fat”, not “animal fat”). It’s hard to understate the importance of antioxidants in promoting and maintaining good health. And some of the most effective antioxidants are vitamins A, C and E. Ample evidence supports that dog food should contain guaranteed amounts of vitamins A, C and E, to ensure the adequate antioxidant intake necessary for wellness. Dog food should contain a selection of vegetables, such as carrots, beets, watercress and broccoli because they each have unique, health-promoting properties. The color of the skin and flesh of each vegetable contains a vital array of nutrients, including phytonutrients, essential vitamins, minerals, antioxidants and fiber. Be sure that your dog food features vegetables. The benefits of dietary fatty acids are well-known, as omega-3’s are some of the most extensively researched, naturally occurring, nutritional ingredients in the world. Not only should dog foods feature omega-3 fatty acids, they should include a guaranteed amount . And, for optimal benefit, omega-3 fatty acids need to be scientifically balanced with omega-6 fatty acids. Not only will the perfect balance support healthy skin and shiny coats, these fatty acids also help to maintain overall health. Dog food should contain prebiotics, ingredients that promote the growth of “healthy” and “friendly” bacteria in the gastrointestinal system. Prebiotics occur naturally in foods, just like vitamins and minerals occur naturally in foods. However, researchers have found that only oligofructose and inulin meet the scientific definition of prebiotics. Often referred to as “friendly bacteria” or “healthy microorganisms”, probiotics aid in the digestive process. For these reasons and others, your dog’s food should feature guaranteed amounts of probiotics such as L. acidophilus, L. casei, B. thermophilum and E. faecium. How can I participate in this awesome breeder program? It's easy! To join our breeder program, you must sign up as a Life's Abundance rep.
3. Start receiving food discounts and get an extra paycheck for every order from your recommendation for the life of your pups. Our simple program gives you a fully functional eCommerce website ($10.95 per month - 37¢ per day) that you can link to your current website and earn commissions and bonuses from every order, month after month, year after year. Your customers purchase direct from your site and Life's Abundance ships their order directly to their door. I am here to help you get started and succeed in building your home business. I have achieved the level of 5 star distributor as a breeder. We have all the tools necessary for you to be successful. Please reach out with any questions and I am more than happy to sit down and have a phone call to discuss more details with you. Life's Abundance is nutrient rich, with no fillers or by-products. Thus, you don't have to feed as much as most other brands to provide optimum nutrition. This smaller serving size not only helps provides exactly what your pets need to maintain peak health - and nothing more - but also saves money! Don't be fooled by the price of a bag! Compare price per daily serving – you may be SHOCKED that you have been fooled and not getting a good VALUE for your money. You can feed holistically formulated, fresh-to-your-door food sometimes for LESS or just pennies more per day - how cool is that!? Serving size is 1.75 cups per day. $73.39 for 40# bag - $1.83 per pound. Ships Fresh to your door. 2.5 cups per day serving size - that's 43% MORE you have to feed every day, thus eating away at your "savings" per bag. 3 cups per day serving size - that's 71% MORE you have to feed every day, eating away (pun intended) at your "savings" per bag. Recalls due to potential mold problem, incorrect levels of zinc and potassium, plastic pieces found in food, and melamine contamination. $34.99 for 28 pounds - 1.25 per pound. Looks way cheaper right? 2.5 cups per day serving - that's 43% MORE you have to feed every day, thus eating away at your "savings" per bag. $61.98 for 50# bag - $1.24 per pound. Looks way cheaper right? 2 cups per day serving - that's 14% MORE you have to feed every day, eating away (pun intended) at your "savings" per bag. 3 cups per day serving - that's 71% MORE you have to feed every day, eating away (pun intended) at your "savings" per bag. Comparison using 4 cups per pound of dog food average; price via PetSmart, feed store, or equivalent; price analysis performed in 2018. Prices subject to change. With the ongoing income opportunity from each and every order from your referrals, you can get your pet food FREE and start earning an ongoing income. Could you use an extra $50, $200, $1.000, $2,500 per month - or more? Life's Abundance is a home-based business opportunity that could change your life by helping pets stay healthy and happy.